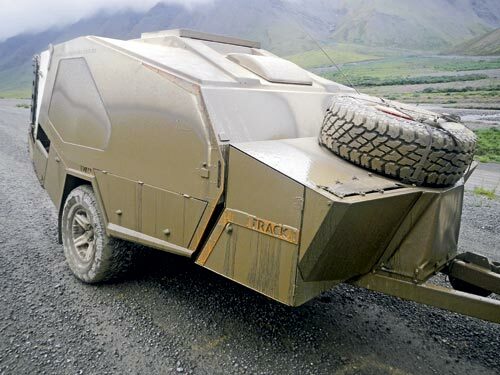 I’ve seen the rise of the Track Trailer legacy from its early infancy, at a time when the inimitable Tvan was a mere twinkle in the late Alan Mawson’s eye. Alan was a mate of mine and had been one of engineers responsible for the MC2 suspension underpinning the entire Track Trailer line-up today. 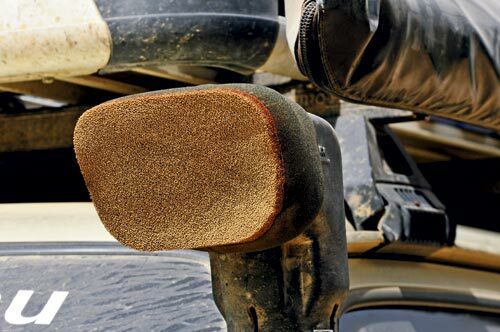 Defying convention, the unit sat proudly on the formidable riding gear, which I was lucky enough to test on the Canning Stock Route and at the Monegeetta military proving ground. My interest was piqued before the camper was named. 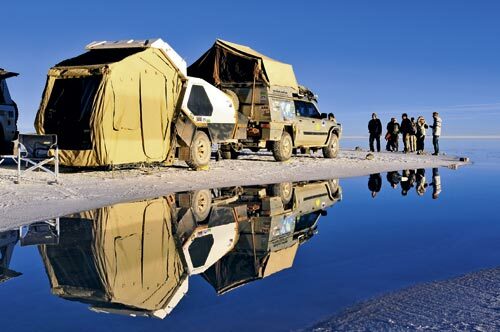 When the first Tvan rolled off the production line more than 15 years ago, I took it for an outback run around Lake Eyre. 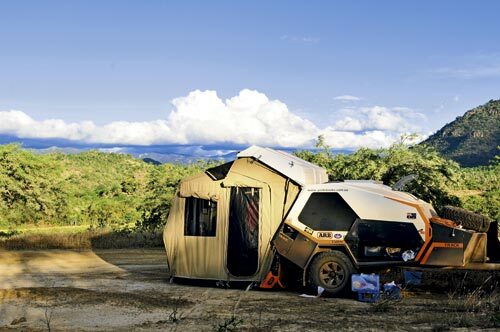 I’ve since owned three different versions of the camper including the latest Murranji. Sceptics might argue this alliance makes me biased, but I am more like a critical parent: the love I feel for the Tvan sheds light on its foibles as well as its virtues. 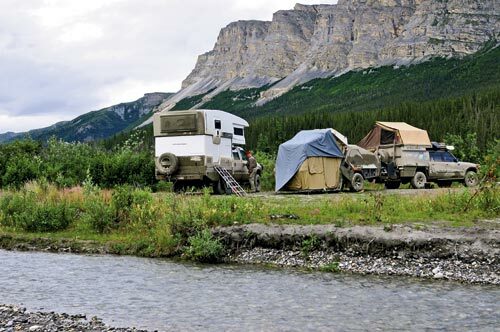 We thoroughly tested the Tvan Murranji across 80,000km on our 18-month journey from the southern-most tip of South America to Prudhoe Bay on Alaska’s Arctic Ocean. 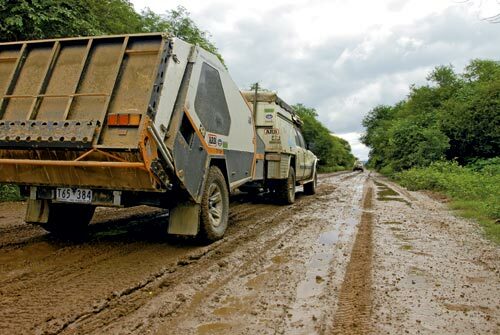 We encountered many dirt roads: some were badly corrugated, others viciously pot holed, and we experienced our fair share of mud and dust. Although the postcard views may have differed, the road travel was equal to anything we’ve encountered in the Aussie outback away from the crowds. 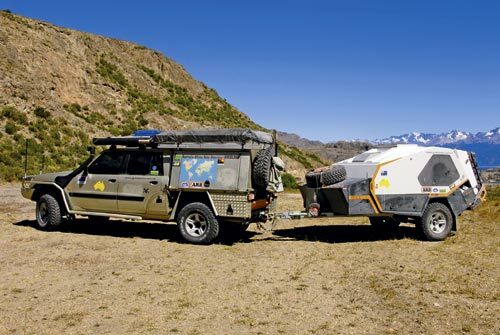 The Murranji is the range-topping model in the Track Trailer Tvan line-up: it shares the same body, chassis, MC2 suspension, electric brakes and DO35 tow coupling as its stablemates, plus a few welcome touring comforts such as greater water capacity. True to its heritage, the Murranji’s clearance was outstanding through the tough travel. 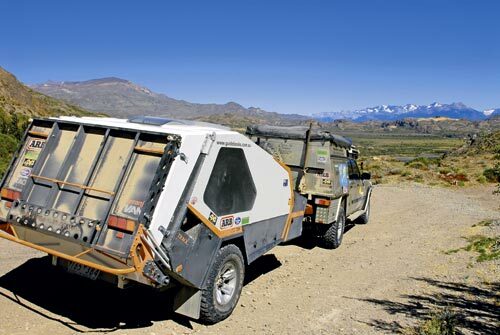 The DO35 coupling served the Murranji well during our exploits but the electric brakes — although great for offroad — were overhauled 35,000km into our trip, after the steep roads and nine (or so) crossings over the Andes proved too much. Both hand pumps failed when the rubber diaphragms ripped but were replaced under warranty. We carried spares after that. 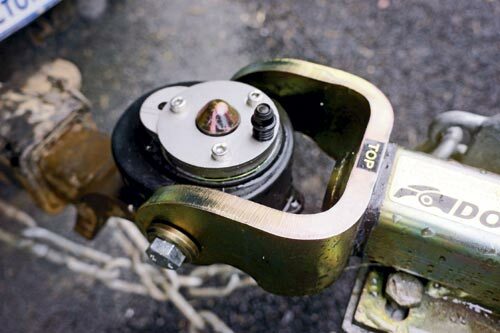 From what I hear, Track Trailer is now fitting its own diaphragms and gaskets to hand pumps during production. 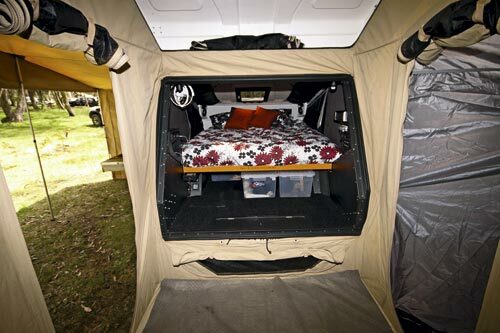 The Murranji sports the latest Tvan body design, which provides more interior head room over the bed and more width compared to earlier models. This is greatly appreciated, especially if you’re prone to claustrophobia. The standard Murranji set-up includes the roof storage system, side wall storage pockets, four interior lights, a high-quality fold-away fan, AM/FM/CD/MP3 stereo player and lining for the roof. 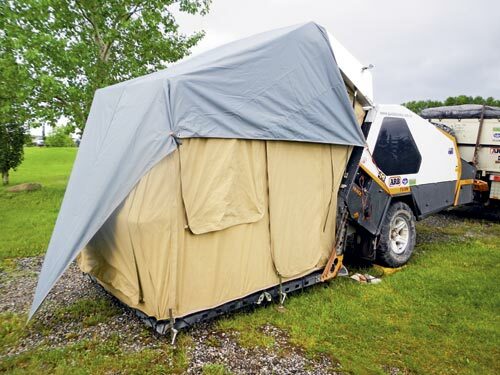 The latter was a godsend in the cold, and in hindsight we should have opted for the fabric lining in the lift-up tent roof, too. The full kitchen features a sink and an electric pump while the large stainless steel work bench is a boon for cooking buffs. 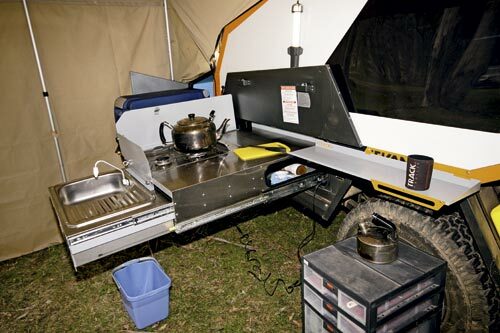 I am not a fan of the stove in its current configuration; the burners struggle in the breeze despite the windshields. There’s a fair amount of storage in the Tvan and we made ample use of the space under the bed and the large dust-proof storage unit opposite the kitchen area. As we were spending a fair amount of time away from home we optioned the front storage box, which has a fridge slide near the kitchen and a sliding drawer on the driver’s side. You get a lot more storage area with this set-up and the kitchen area is far more user friendly with the fridge close at hand. 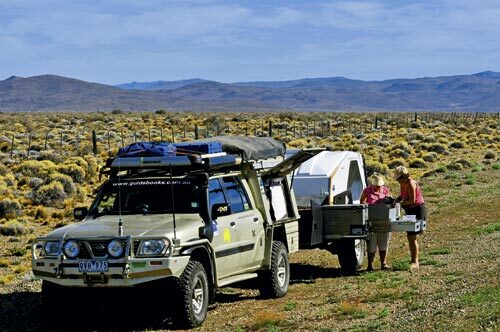 The optional front storage box throws weight onto the tow bar, however, and when combined with the standard second water tank on the Murranji care is required during pack up to stay within the manufacturer’s tow-ball weight recommendations. The tent area of the Tvan worked perfectly all the time we were away. It did get a couple of small wear holes along one edge but considering we used it every day for 18 months and erected it during howling gales, we reckon it came through just fine. 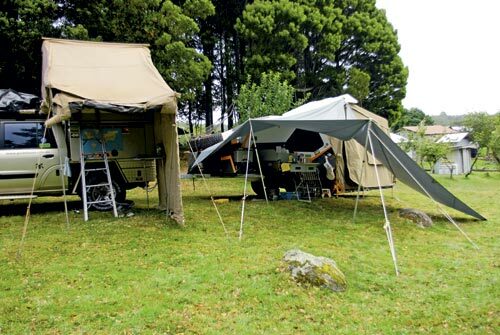 We didn’t take an annexe or end walls, opting instead for two sail awnings. 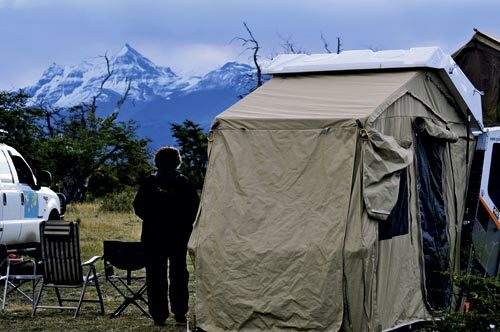 In the cold of Patagonia, the high Andes and in the Arctic we used one awning as a simple and easy-to-fit fly over the majority of the Tvan’s tent area. You’d be surprised at how much warmer it was under cover and when it rained the tent remained basically dry. The Tvan Murranji is now back in Australia and after a comprehensive service, along with a few repairs, it will be back on the tracks soon. Would I ever think of using another camper? No way! 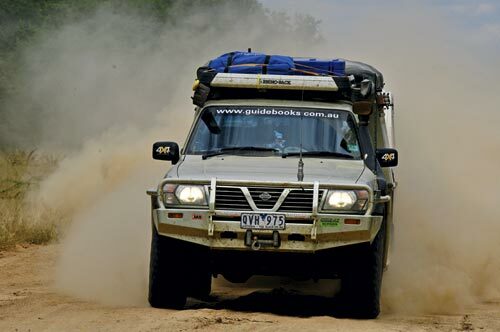 Our 4.2L turbo Nissan Patrol has clocked more than 300,000 hard won kilometres and has seen plenty of aftermarket gear come and go. 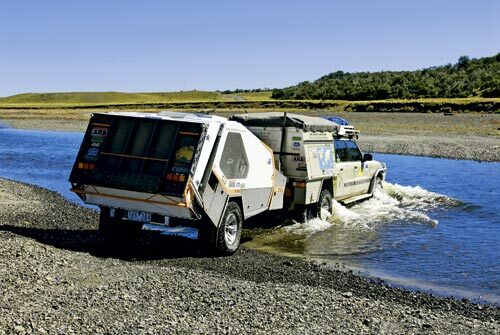 Fortunately, the modifications performed by Creative Conversions in Brisbane — which include lengthening the chassis and converting the body into a dual-cab ute — have faultlessly endured approximately 200,000 of those kilometres. 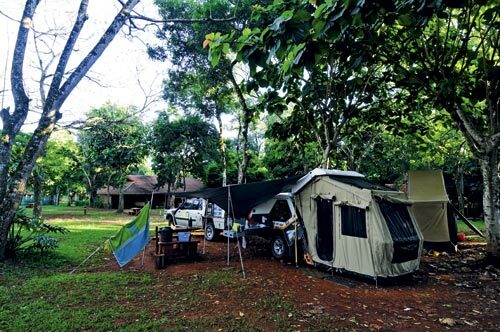 A Candy Canvas Carry Me Camper is permanently fitted as guest quarters and as accommodation when towing is inconvenient. 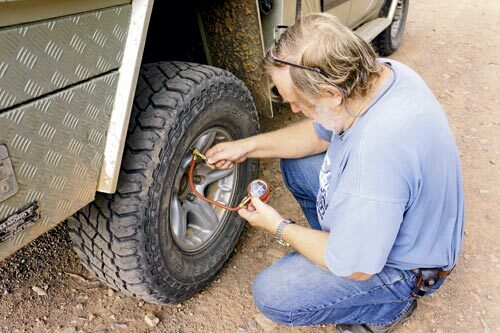 When it comes to tyres, I like good old Yankee rubber — BFG, Cooper and Mickey Thompson — but Cooper is the brand I endorse. For the last 10 years, I’ve often run Cooper STT tyres due to their radial sidewalls. Our current ST Maxx tyres are a great touring compromise: the wear is better and they’re less noisy on the blacktop compared to the STTs and have less chipping issues compared to earlier Cooper ST models. 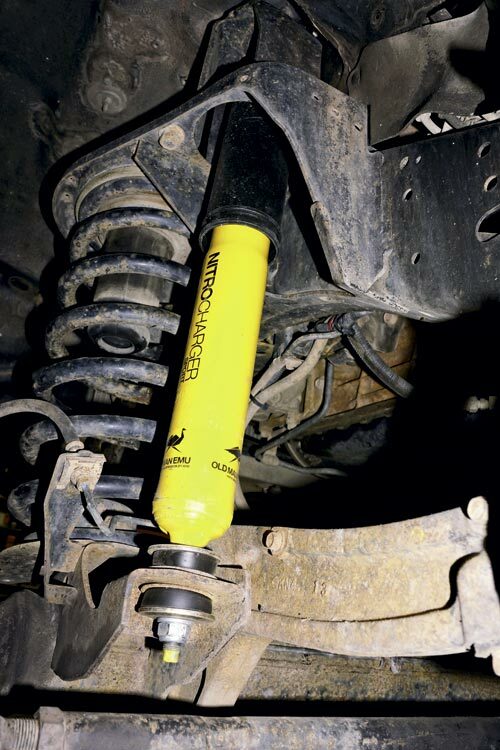 I run OME heavy-duty springs and a set of OME Sport shocks, opting for the firmest of three setting possible as I often carry heavy loads. The basic Redarc Smart Start SB112 dual battery system serves our modest Patrol well, kicking into action when the auxiliary battery falls below 13.2V. 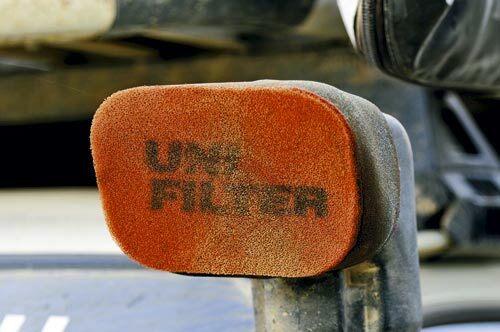 I regularly use Uni Filter snorkel pre-cleaner foam filters, too, as they are cheap, easily serviced and easy to fit, saving your main air cleaner element from clogging up too quickly. I also use Red Line engine oil. Although expensive at around $30-35 per litre, I reckon it’s saves me money and time on the road. 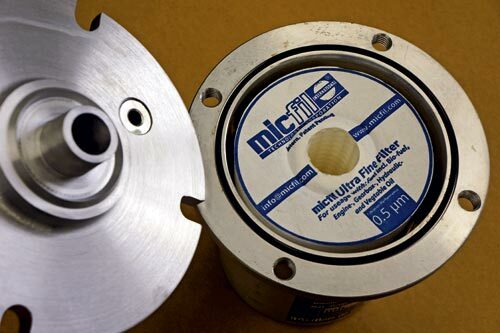 I am currently testing the MicFil ultra-fine (0.5 micron) oil filter from Germany that claims to stretch oil change intervals out to 20,000hrs, which is something like a million kilometres. As to whether it’s true or not…only time will tell. 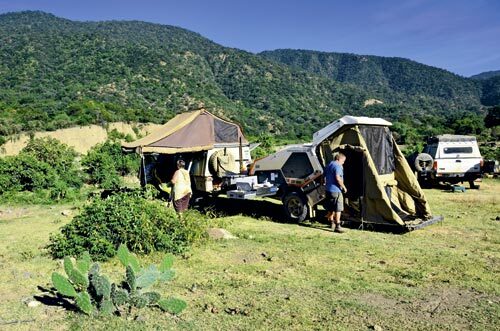 Find Track Trailer campers for sale. 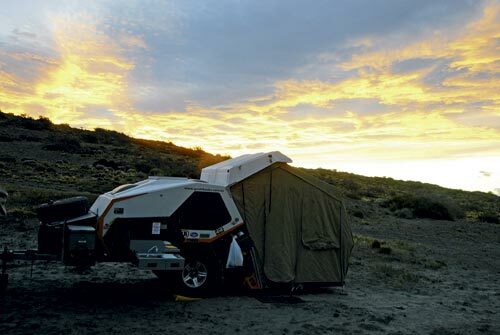 Search for new Track Trailer campers.